Carefully crafted, luxurious, and with a uniquely British charm, Radley London is a globally recognised brand complete with the iconic playful Scottie dog logo. From its origins in 1998 on a stall at Camden Market in London making handbags, purses and wallets it has moved on to international success, where quality and innovative use of print, colour and design help Radley London to stand out from the crowd. If you’re bored of traditionally designed luggage, you will want to get your hands on this latest collection. 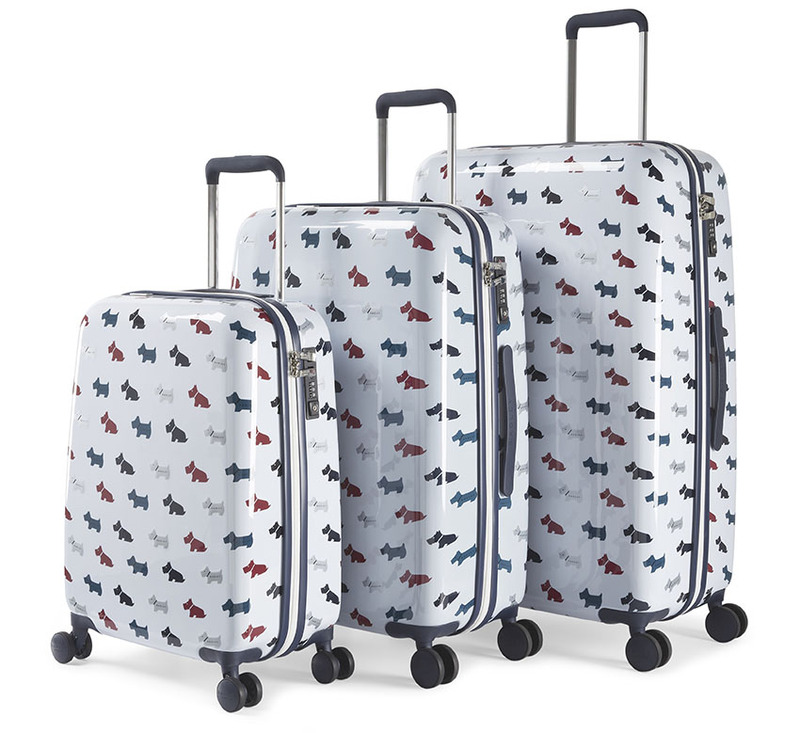 Featuring Radley’s signature patterned Multi Dog print, these ultra- lightweight cases in a classically British colour scheme make the perfect travel companion. The smooth eight-wheel technology offers 360° manoeuvrability and features Radley branded hubcaps, allowing to you to glide through the airport in style. The elegant interior is separated into double divider sections to ensure maximum packing capacity and, of course, no product would be truly complete without the iconic Radley stamp of authenticity and quality branding throughout. Which is why we’ve teamed up with Radley London to give two lucky readers the opportunity to win a set of small, medium and large Radley luggage from this latest collection worth £447 per set. All Radley London luggage owners can be reassured to know that each piece is created with unwavering attention to detail, style and quality – something Radley London is proud to guarantee. This competition is only available to Candis members. Members – please log in at the top of the screen to enter this competition. Non members – click here for more information on becoming a Candis member. This competition is only open to Candis members that subscribe to the magazine. Competition closes on 31/05/2019. I have all Radley handbags and purses, amazing luggage would make it complete! Walkies on wheels, very chic. What a fabulous set of luggage! No doubt at all that it is Radley. Wow – what superb travelling companions! Lovely luggage. I would be proud to be seen with these wherever I travel! I would never have any difficulty finding my suitcase, these are amazing! I love how stylish the suitcases look. Fabulous! Really different. I so need these. Amazing prize to win.Here’s hoping! !